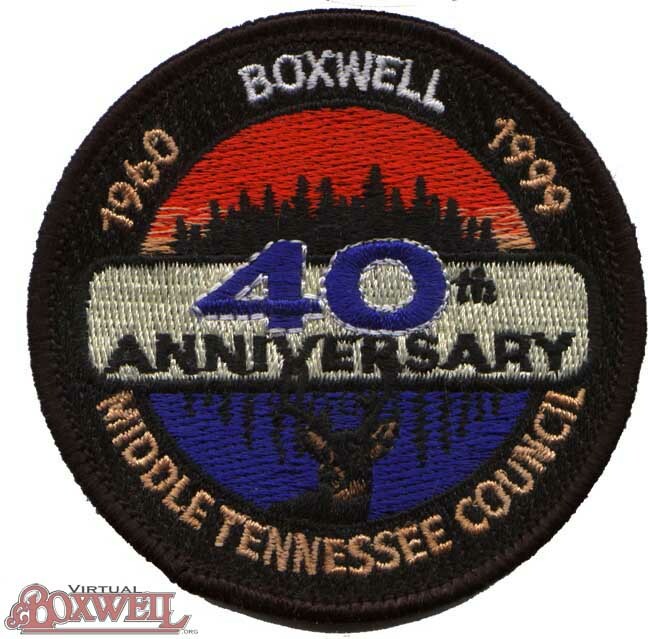 From the Linden, TN Boxwell through Boxwell at Old Hickory, the staff has worked hard to provide the best program possible for Scouts. 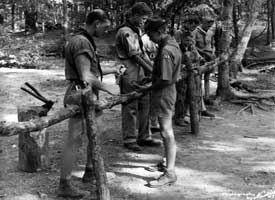 Over 3000 Scouts and Scouters have served on staff over the years, providing a vivid cross section of society and Scouting. Each staff of course has its own milestones and adventures, which cannot hope to be related in this space (though many stories are on the multimedia CDs). Nevertheless, there are some important moments to mention. 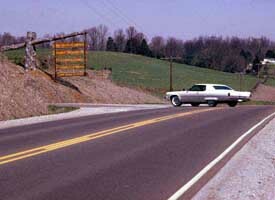 Up into the 1960s, the staff was almost exclusively white. 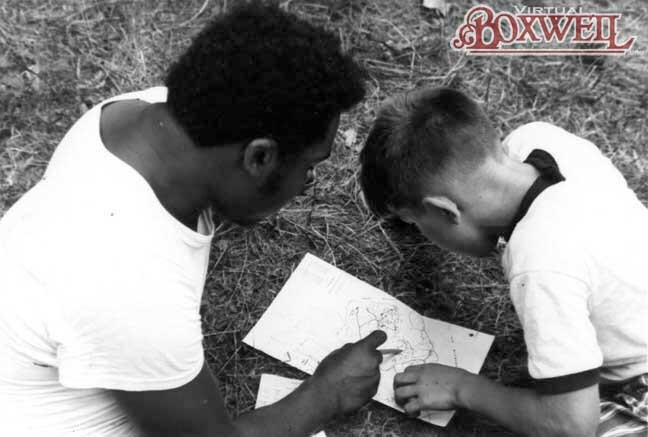 A separate week of camp was held for African-American troops. 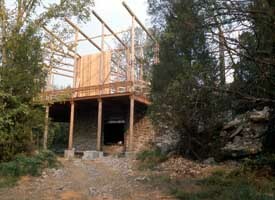 While African-Americans did serve on staff, they were often cooks, such as the Rock Island cook. 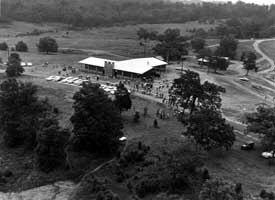 In 1967, the first African-American staff member served on the program staff at Parnell. Women had often been part of the staff as part of the cooking staff as well. 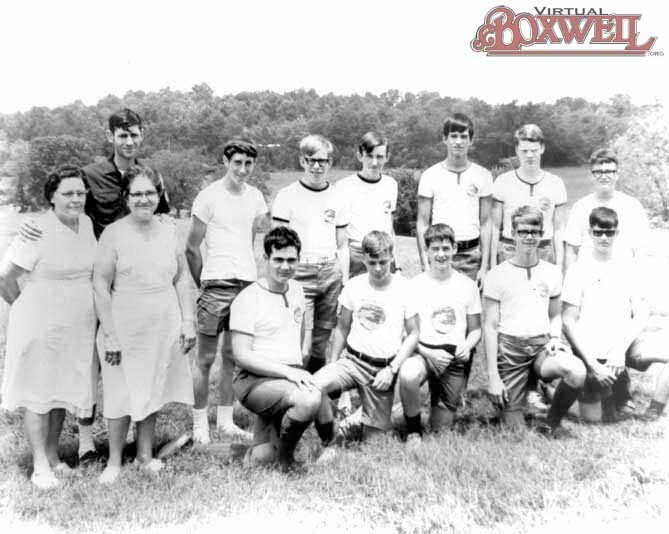 In addition to Pearl Schliecher and her sister Estelle Langford (Ms. Bea), who served as Boxwell's primary cooks for almost 30 years, Judi Eubank served as Parnell's kitchen director in the 1970s. More recently, Diane Gregory became the first woman to serve on program staff, also at Parnell, as Field Sports director. In the early 2000s, several young women served on Trading Post staffs and on Craig's waterfront. Some may ask, what does the staff do? The answer is "everything." 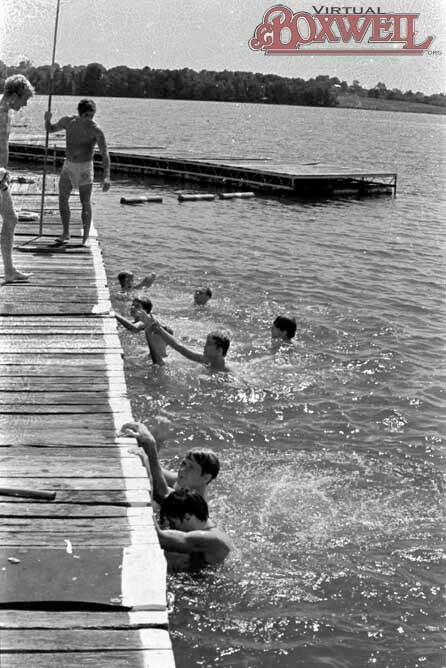 From putting up camp to taking it down, to running merit badges to cleaning showerhouses and putting on program, the staff does it all. To see more specific information on the staff, visit the Staff tab at VirtualBoxwell.org. 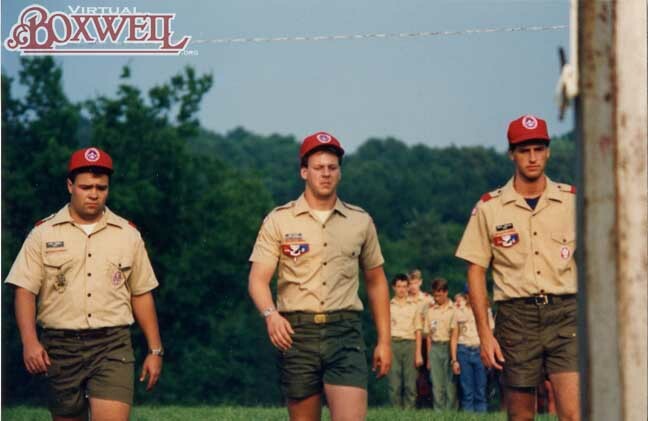 Unlike many camps who simply hire people for the summer and then disband, Boxwell has a rather unique history with its staffs. 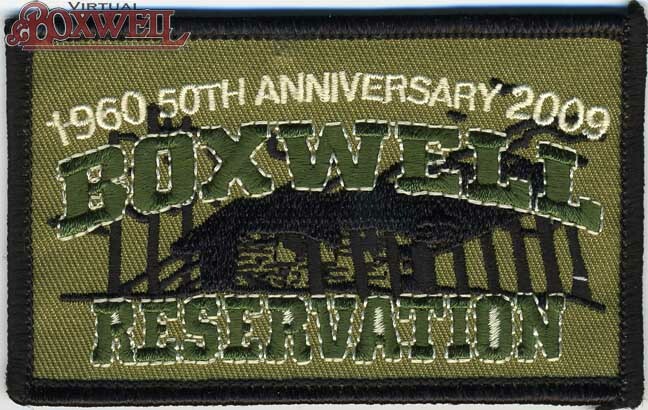 While there is now a national push to focus on "Staff Alumni," Boxwell has had its own "staff alumni" for years. Indeed, it is these former staff members who were behind most of Boxwell's Staff Reunions. 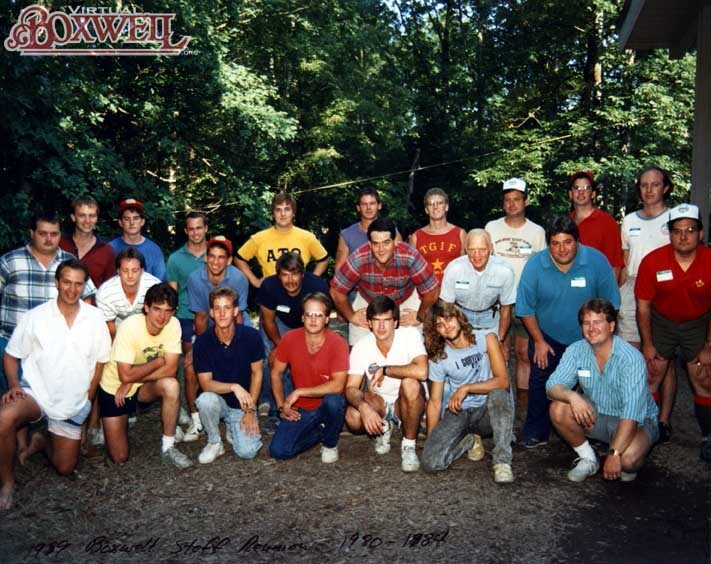 Starting in 1983, the Boxwell staff has enjoyed four reunions over the years. 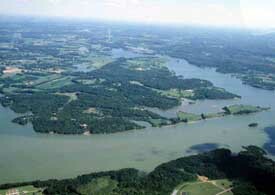 The first was in 1983, followed by a second in 1989 (the 30th anniversary of Old Hickory Lake Boxwell), another in 1999 (the fortieth anniversary), and one in 2009 for the 50th Anniversary. The first three were all planned and orchestrated by former staff members with support from the Council. 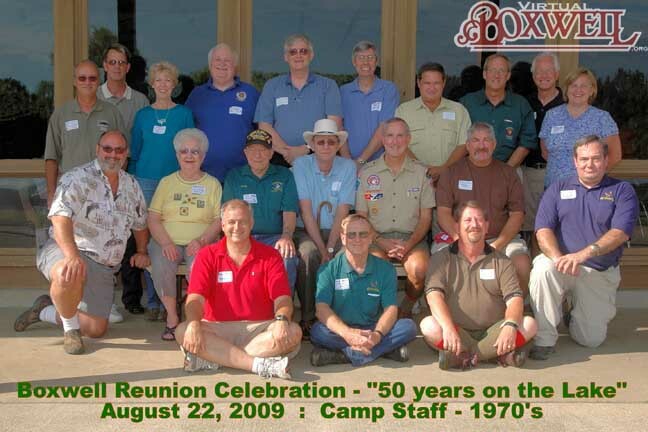 The last reunion (2009) was a Council event with former staff members helping. 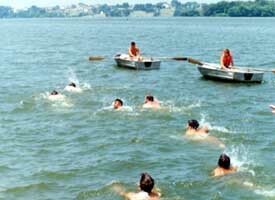 Currently, there are plans afoot for a staff reunion every five years with the next one being held in 2014. 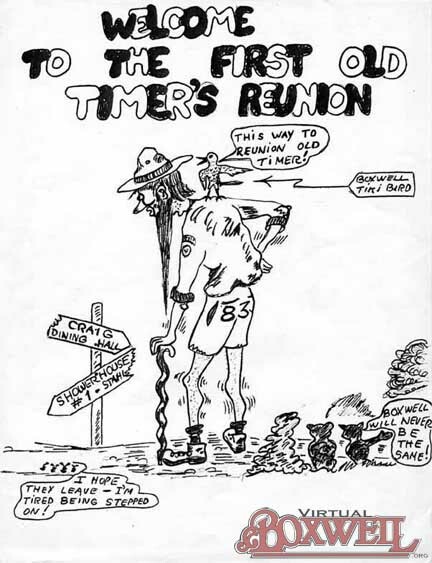 So what exactly is a staff reunion? 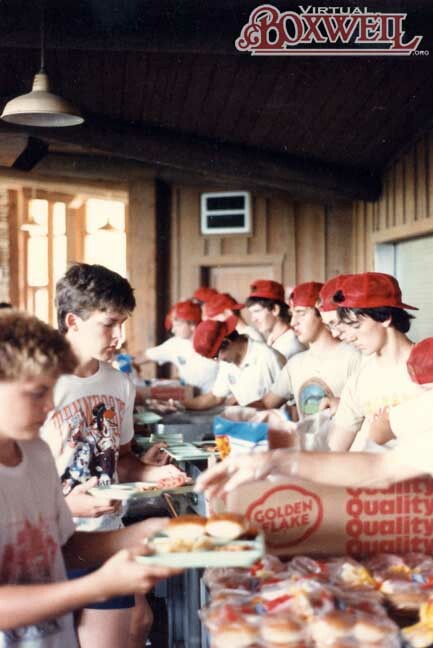 Most of the Boxwell Staff reunions have been an attempt to recreate the camp experience for former staff members and their families. 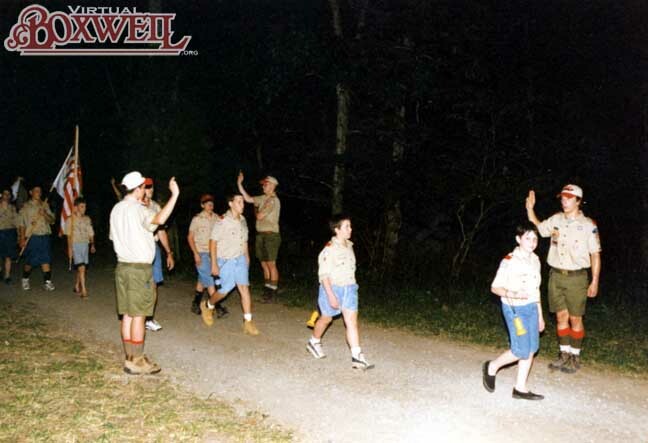 The reunions have been held during camp and have utilized the program areas to show how camp is now and to introduce children and spouses to what their former staff member did while at Boxwell. 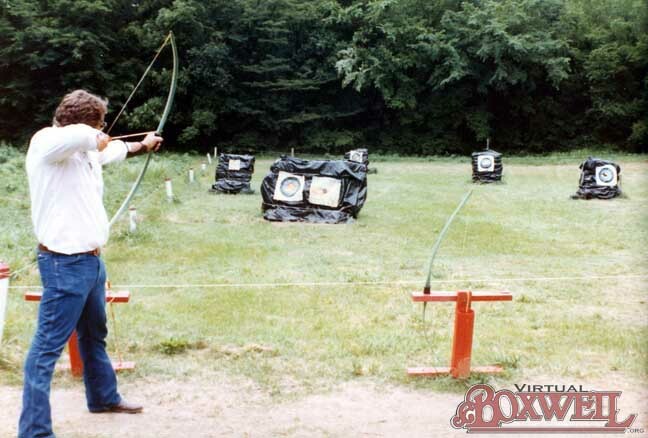 A reunion guest could shoot arrows at the archery range or go rowing or simply wander around camp. A dinner was held at the end with awards, such as Longest Distance Traveled, Oldest Staff member, and the like being distributed. The event ended with a campfire. 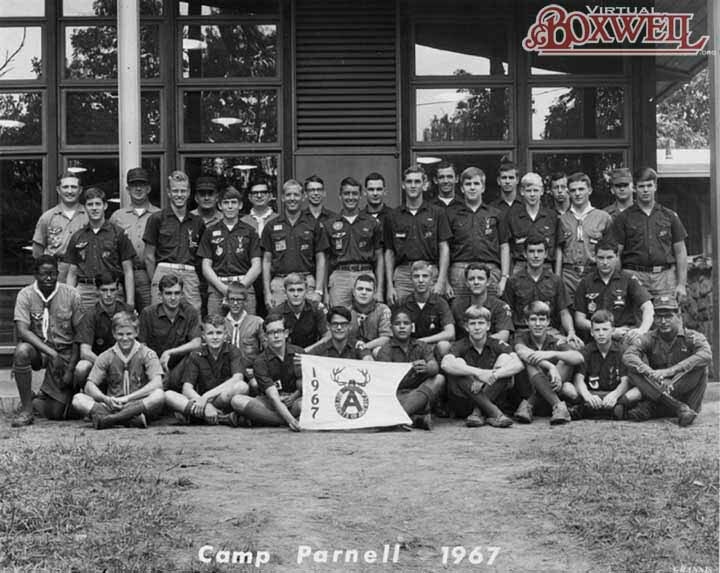 The last reunion was, as mentioned, a Council event and not held during the camp season. 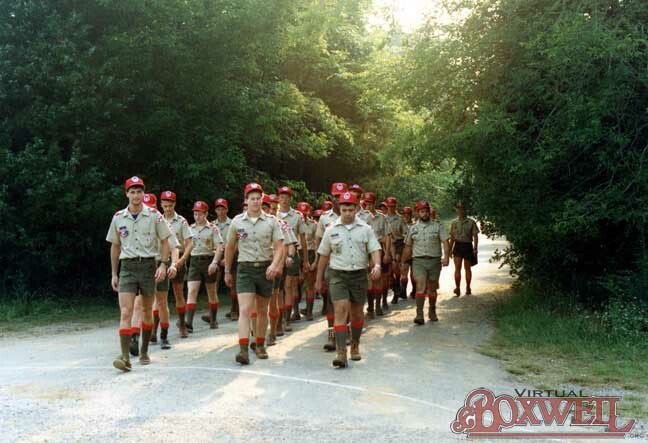 Staff could still congregate together and wander around camp, but none of the program areas were set up. 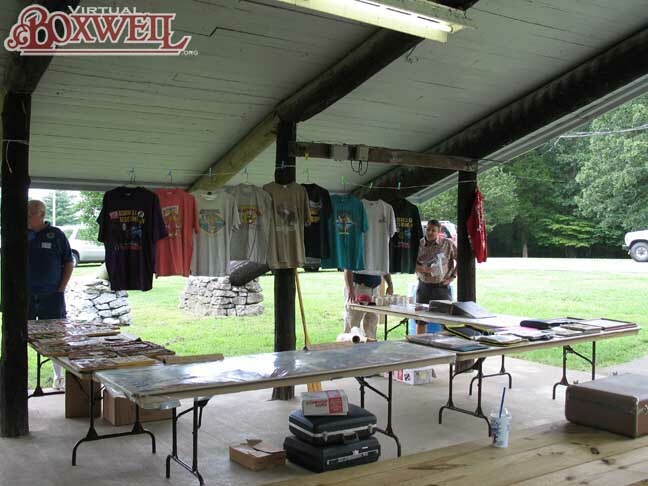 However, there was a memorabilia area set up, food was provided, and a campfire ended the event. Reunions are evolving events, but they are still a great way to get together with old friends and share memories of days gone by! 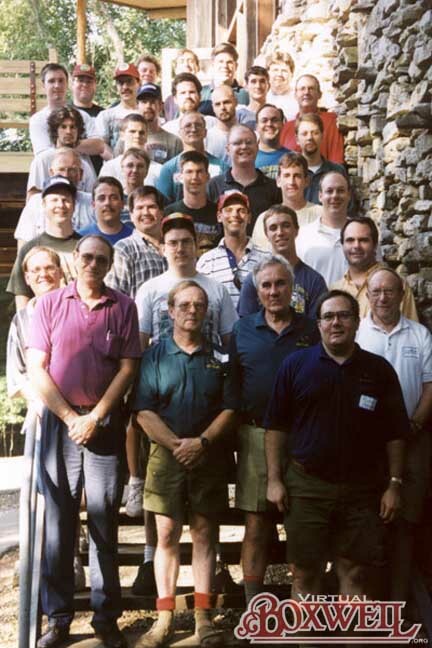 You can view all the reunion photos at our Flickr site. 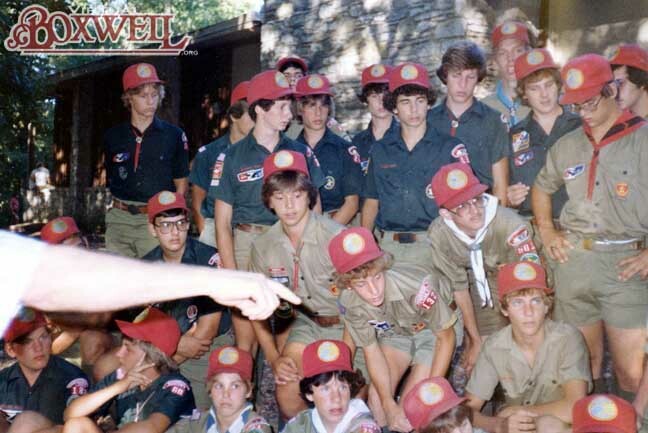 Boxwell Reunion Photos.